We often get questions about the solar panels we have installed. Therefore, I thought I’d recap the story. 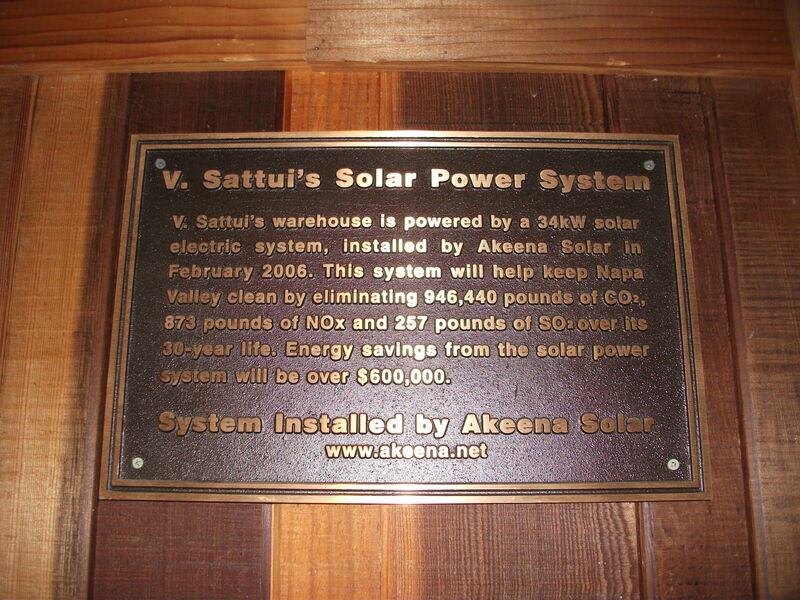 In March of 2006, V. Sattui Winery boasted about the most prominent solar electric system in the Napa Valley, easily visible from Highway 29. 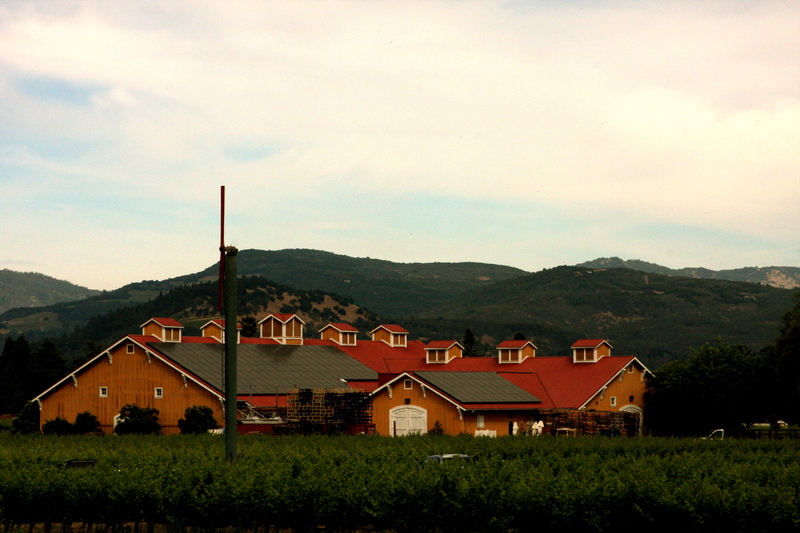 The 34 kW solar electric system sits boldly on the winery’s red steel roof. “The system looks even better than I thought,” said Mr. Dario Sattui, “I am very pleased with the final results of the installation done by Akeena Solar.” Consisting of 198 high efficiency solar modules, the system will significantly reduce the winery’s electric expenses over its 30-year lifespan and also reduce the harmful emissions that would have been produced through traditional utility energy sources. The solar electric installation couldn’t come at a better time for the Winery. With commercial rates up to $0.16 per kWh, the solar electric system is an effective way to permanently lock in a low electric rate of $0.09 per kWh for 30 years. As a result, Mr. Sattui has managed to control one of the more expensive and typically unpredictable components of running a winery: electric rates. “Sustainability has become a vital focus for family-owned wineries in California, and we are proud to have partnered with the Sattui family on this latest solar winery project,” said Akeena President, Barry Cinnamon. Mr. Sattui has made a decision that not only saves his family-owned business money but also helps protect the environment in an aesthetically pleasing way. The system will generate approximately 46,250 kWh annually and provide energy savings of over $6,000 in the first year alone. They system will benefit the environment by avoiding release of 908,388 pounds of carbon dioxide and 838 pounds of nitrogen oxide during the 30-year life span of the system. Generous state rebates and federal tax credits helped pay for over half of the system cost. Currently, state rebates are $2800 per kilowatt, and are $2800 per kilowatt, and are supplemented by a 30% federal tax credit and a five-year accelerated depreciation schedule are applied to all commercial systems.